Finally, Christmas is here. I’ve had a few days to slap some colour on a few models – and take some photos of ones I’ve done over the last few weeks. 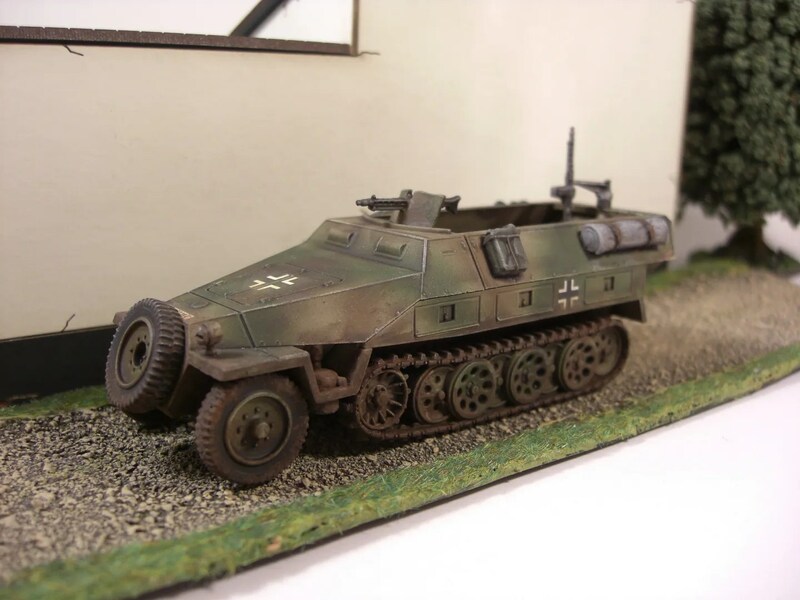 First of all are a few German vehicles I’ve been working on. 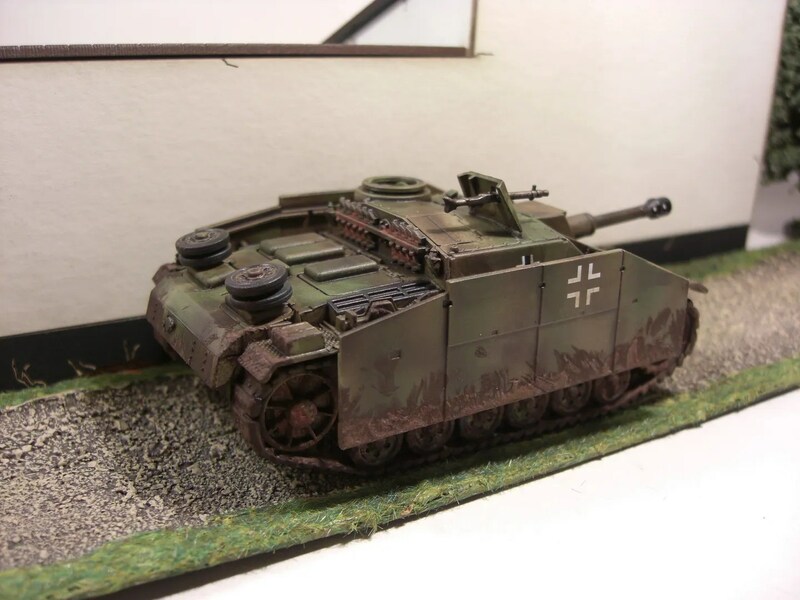 Although they may not be realistic paint schemes of WW2 vehicles, I do love the way the airbrush with a coat of wash makes the camo colours kind of merge together. 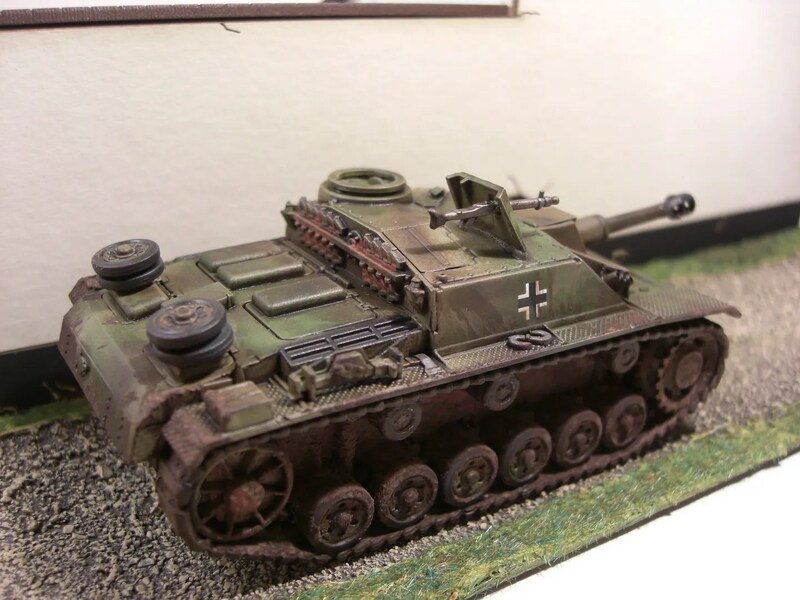 Here’s a StuH42. 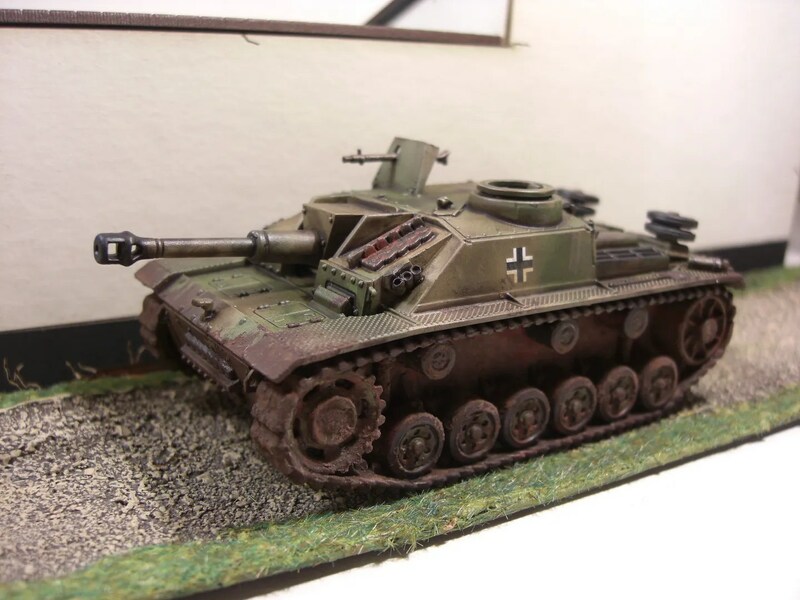 This was made like the Panzer III with magnets in the track rollers so I could add sideskirts or not for Bolt Action. 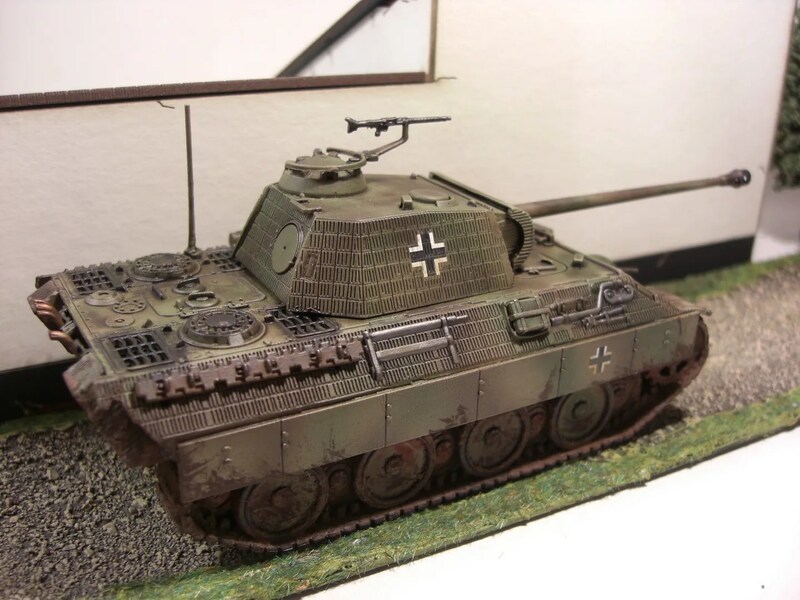 The very first tank I bought for Bolt Action was the Panther V. I never dared paint it up till I got the airbrush. 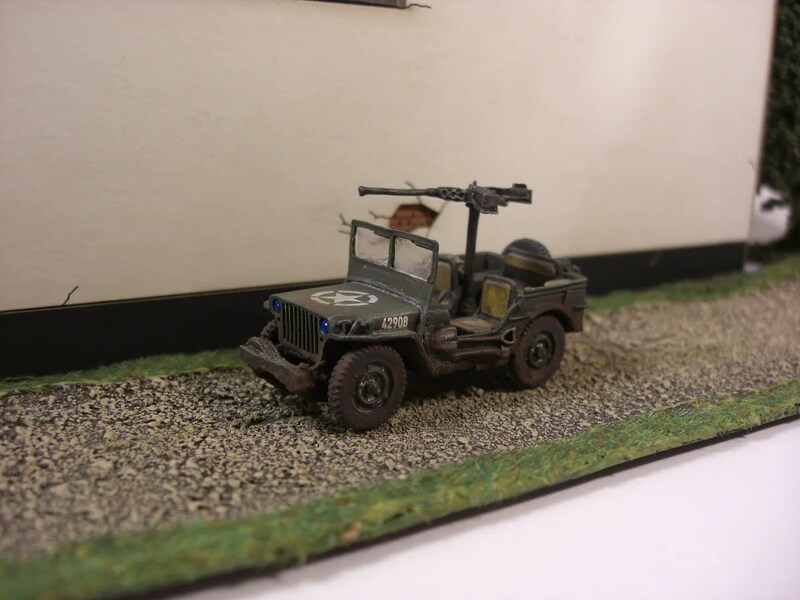 Here’s the finished model. 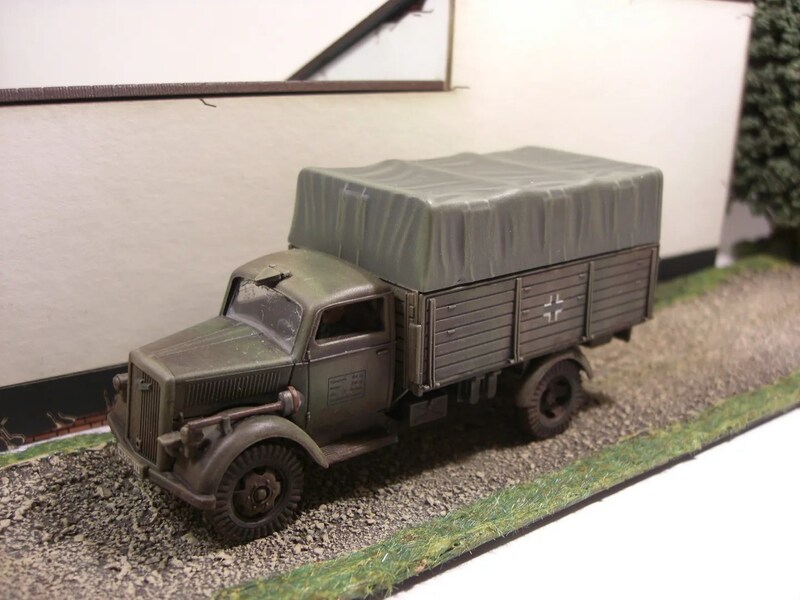 After that, I bought myself a Warlord Games Kubelwagon, Hanomag and a Rubicon Opel Blitz. 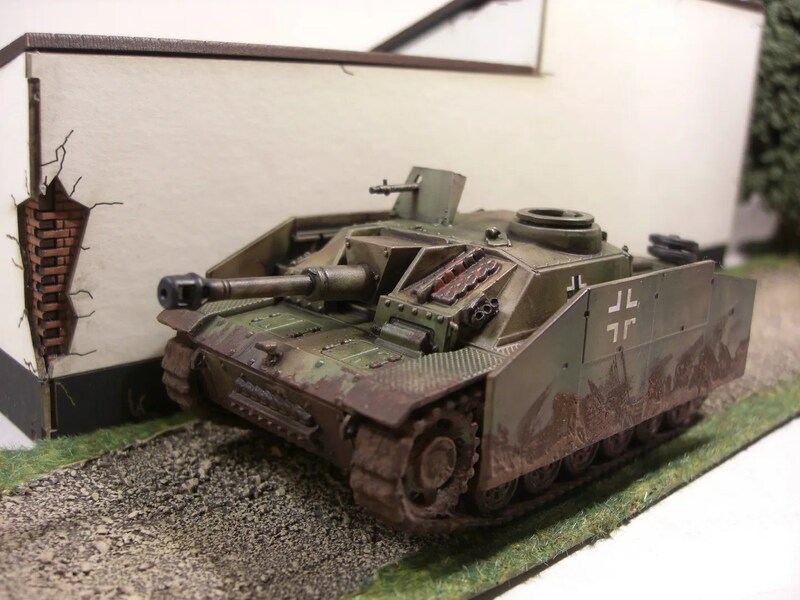 Without a doubt, the Opel Blitz is the best fitting model I have ever built. I’d recommend it. 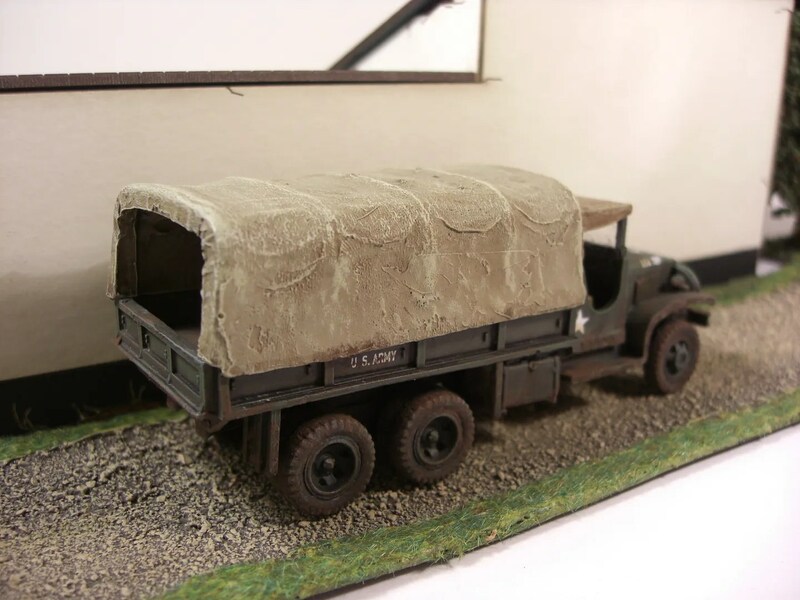 The only thing I did do which may not show well in the photos is add a clear plastic sheet as the windscreen and on the passenger side, I put in a window half rolled down. I left the driver side window open. 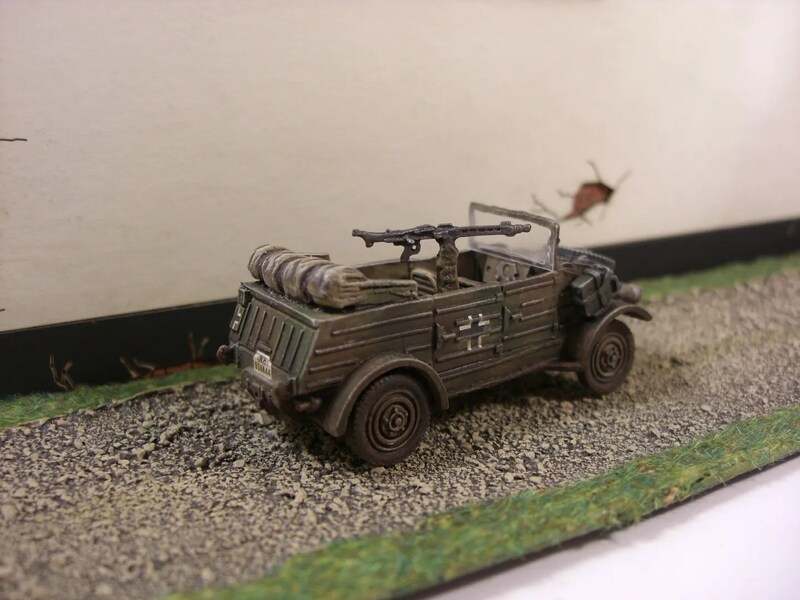 The Warlord Games Kubelwagon was a mix of resin and metal. The resin was fine but the metal is rather delicate and cast badly. There’s so much flash it was hard to tell what was parts and what was detail. I made it so it could be without weapons, or magnetise on the MMG. The MMG strut was so badly damaged, I had to make a kind of padded cloth covered strut to use. The driver is still sitting on the paint table. 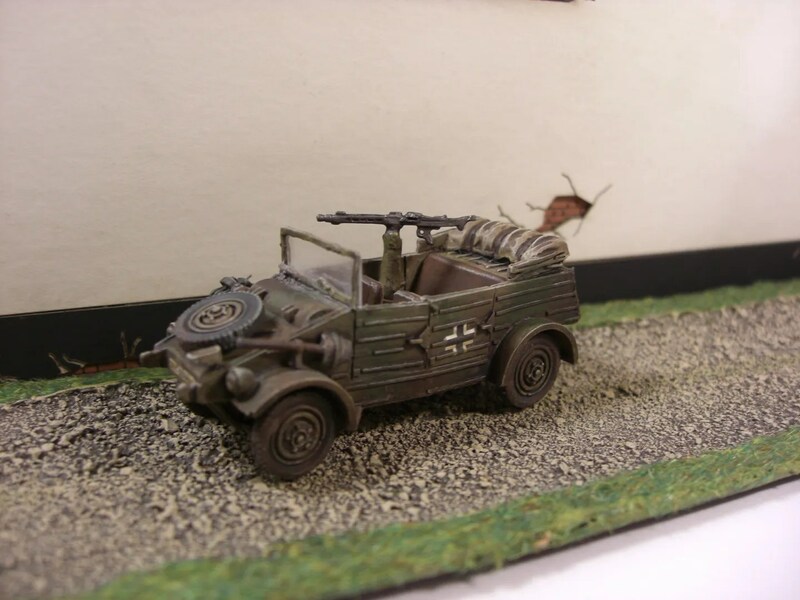 The plastic Warlord games Sd.Kfz 251/1 Ausf D Hanomag is also a joy to put together. 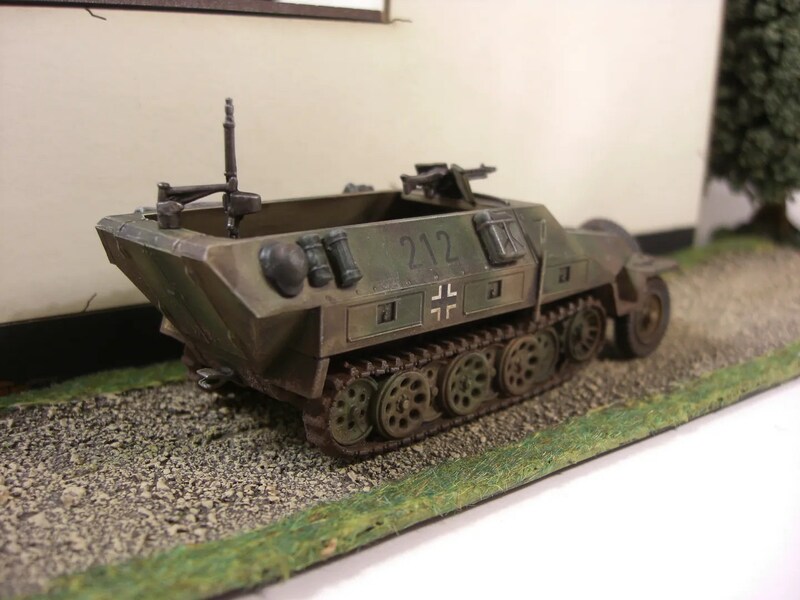 Very simplistic and designed for gamers to make rather than model makers. I put a magnet under the rear door so the gun can be removed. And onto the United States Army. 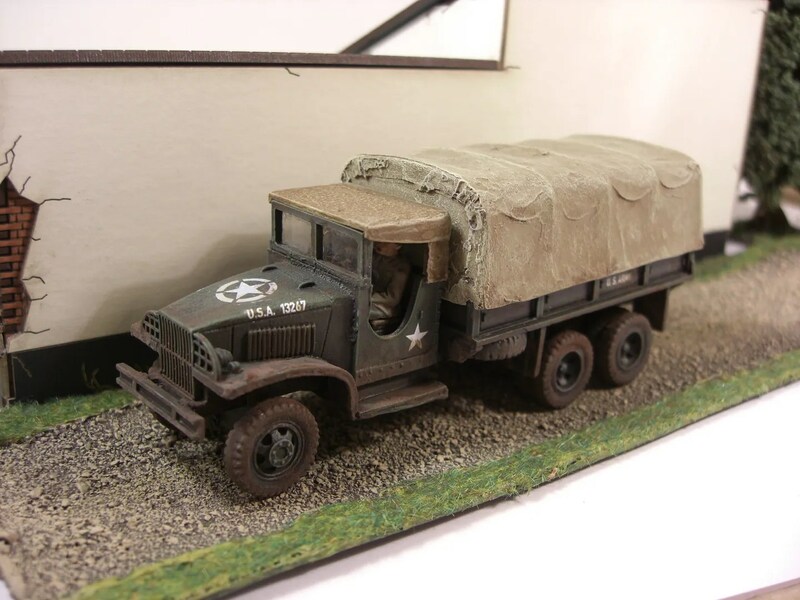 I bought myself in the Black Friday sales (along with the German vehicles) a Deuce and a Half truck and a couple of Jeeps. 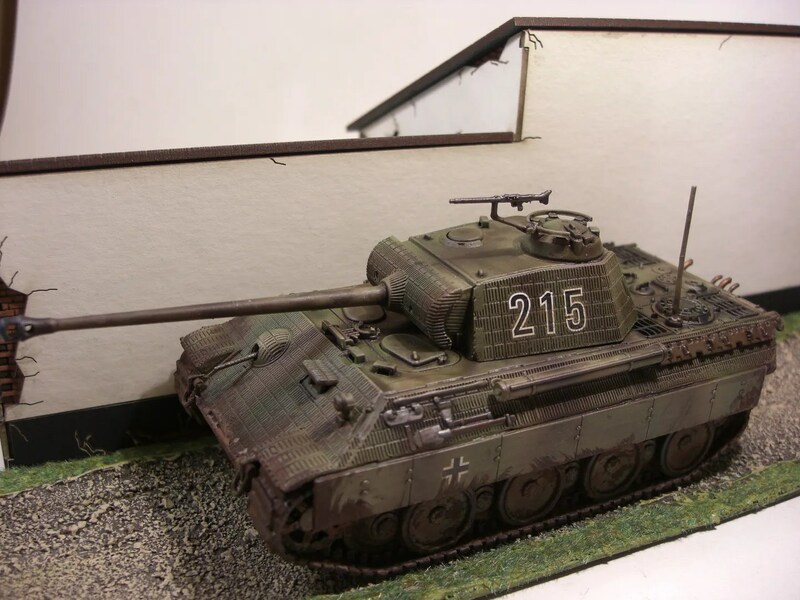 Both of these are Resin and metal kits. 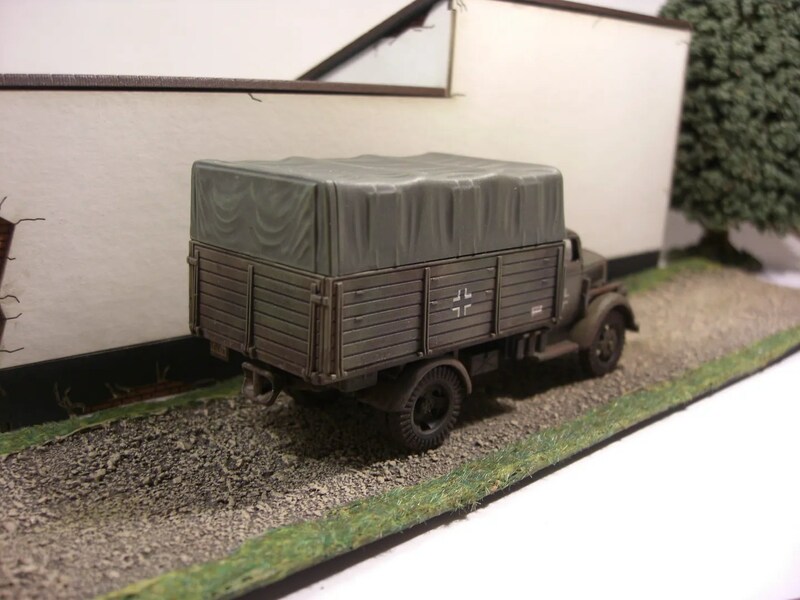 Not all the parts fit well and the metal parts suffer the same as the Kubelwagon – it’s hard to tell parts from flash. I’m hoping Rubicon bring out a US truck soon. 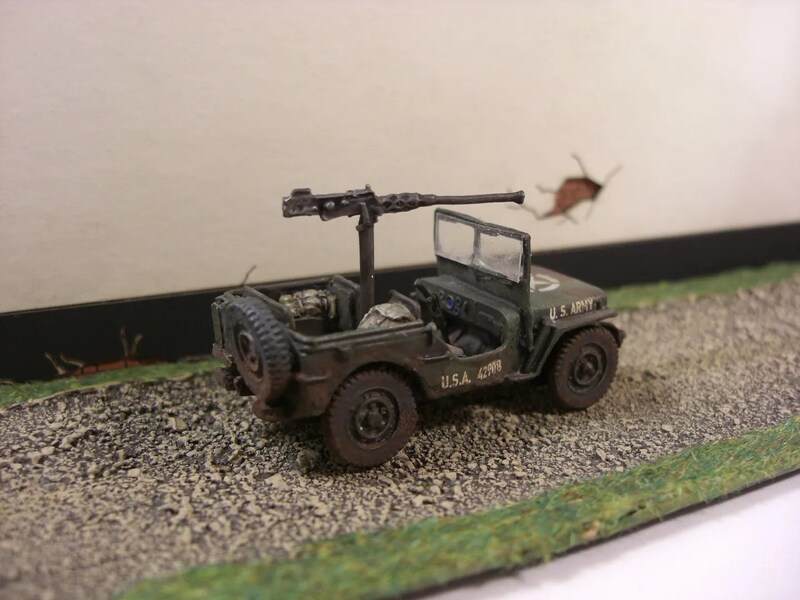 Although the gunner and driver for the Jeep are still on the paint table, the gunner and both the HMG and MMG are magnetic options. The photo has the HMG on. 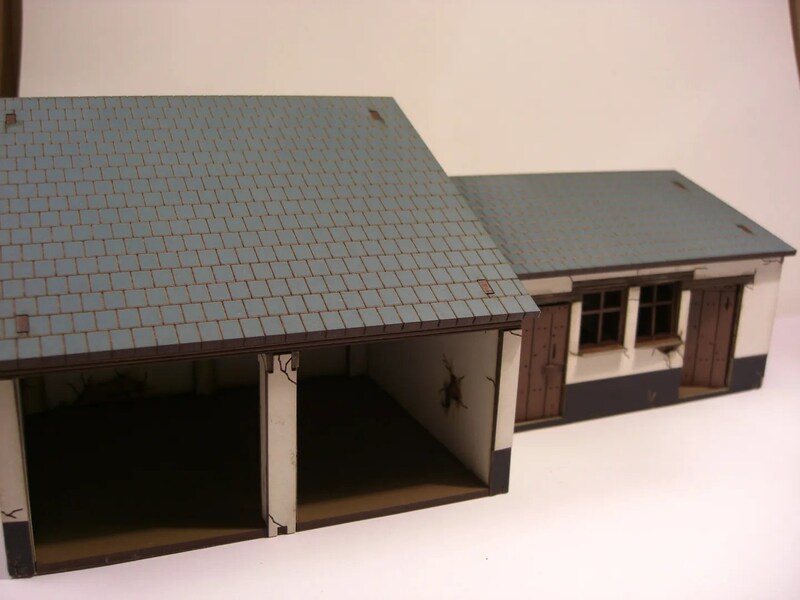 To finish off the World War 2 stuff, I also made up a 4Ground model Piggery/Cartshed and some Czech Hedgehogs. 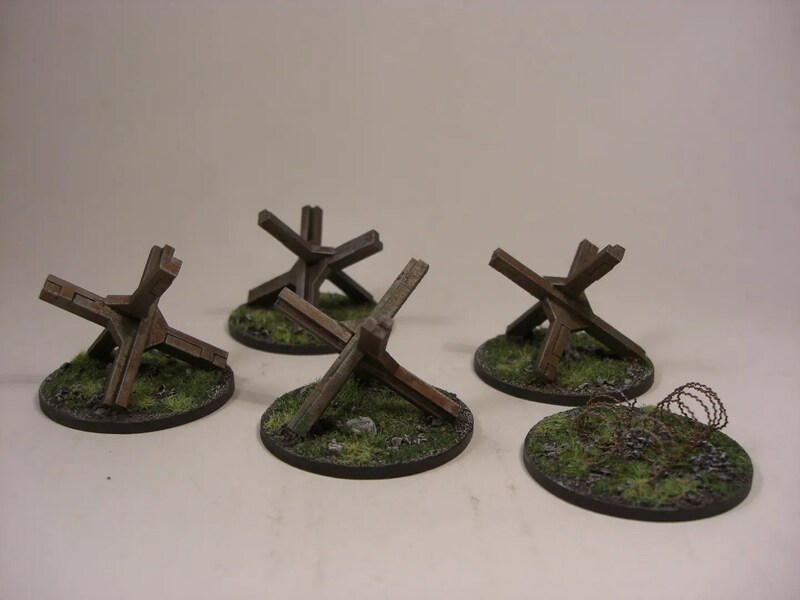 Annoyingly the hedgehogs came in sets of 4 and my large terrain bases have 5 slots, so I made a barbed wire base to go with it. The Piggery/Cartshed is a real challenge to put together, but it is an awesome model. 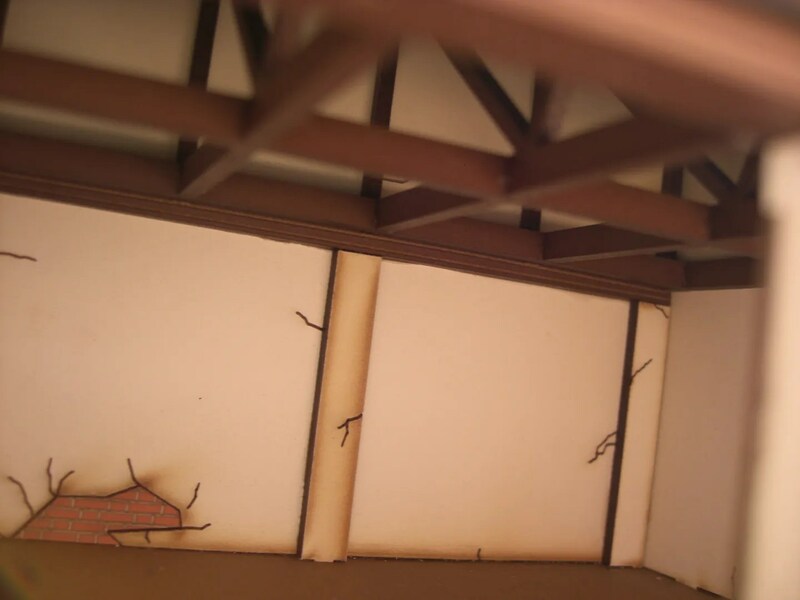 I tried to take a photo showing the rafters inside the removable roof section. Hopefully you can see the detail it has. 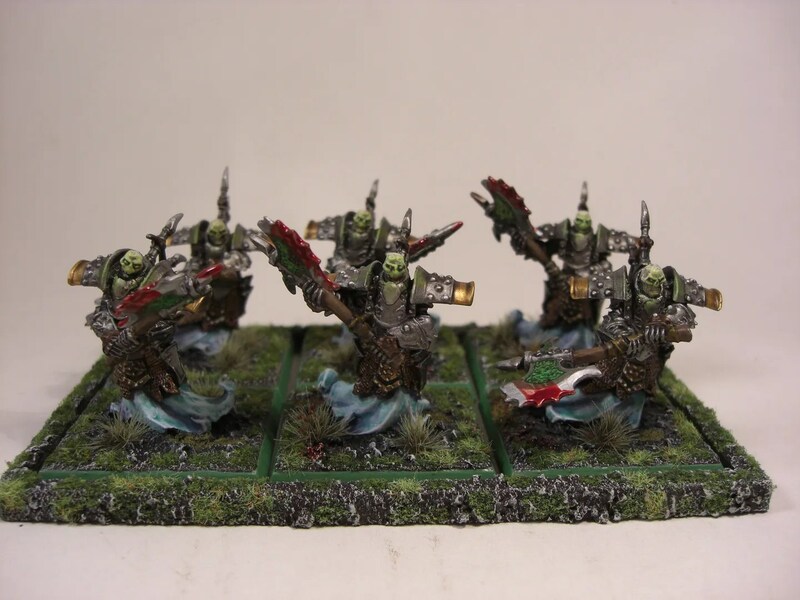 I wanted a unit of 3 Wights that would fit on 40mm bases for the new version of KoW2. 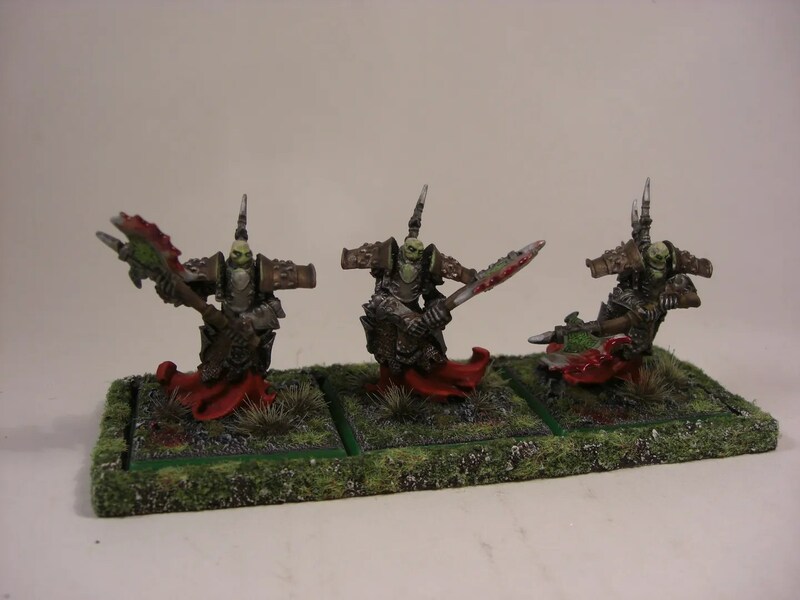 The old models I had were very small and only suited 20mm bases. After much scouring of figure manufacturers online, in the end I decided the best models that fit the job and had the size correct were made for Warmachine – Bane Thralls. They came in boxes of 10 though, so I made a unit of 3, a unit of 6 and used the boss as a Revenant King. 3 units out of a box isn’t bad I suppose. 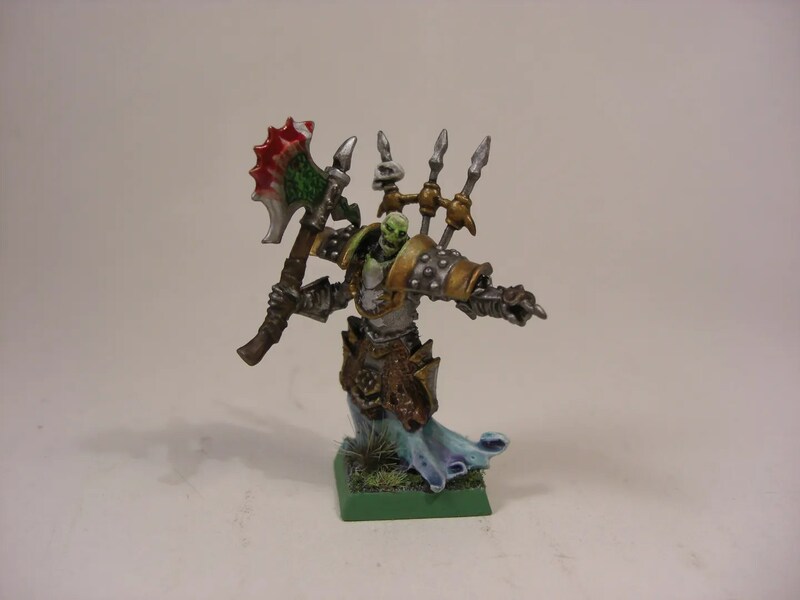 The models themselves were made of that awful resin/plastic mix the Mantic gamers know as “restic”. I still prefer old fashioned metal or the hard plastic. Also, I finally got round to taking a photo of the Balefire Catapult I made up. 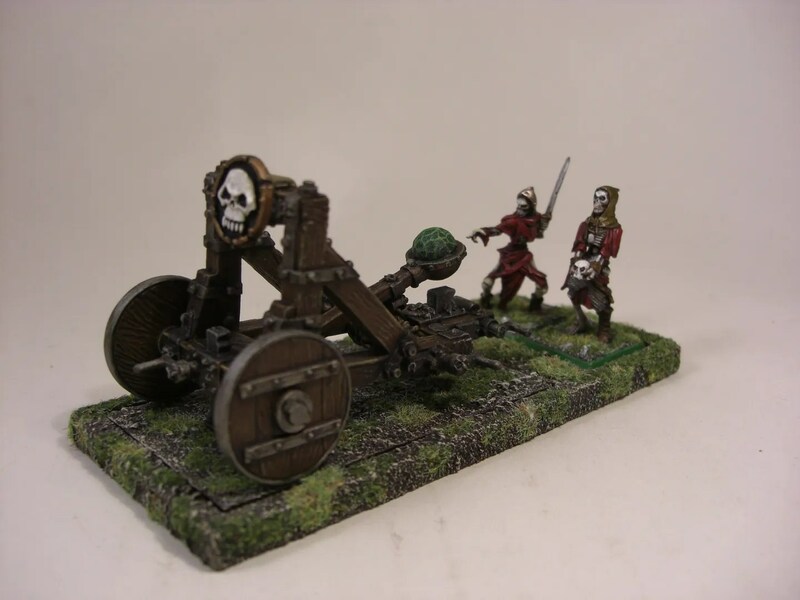 It’s actually an old GW Dwarf Stone Thrower model with the plastic Mantic catapult skeletons. The shield on it matches the shields on one of my skeleton units and also covered a dwarf rune. Well, that’s it for this update. Hope you all have a fantastic Christmas and a happy new year – and get some time to paint.